Jones Homes Group designs, builds and remodels quality residential homes. With a wide range of abilities, we are able to complete your project on time and within your budget. We offer consulting and project management services for our clients, which include rehabilitation, site development and subdivisions/land purchase. We also offer Custom Homes. "Yesterday the Jones Homes truck was once again parked outside our house for the third time in two years. The first project was a completely new kitchen, the second a new living room and now the third project, master suite (bedroom with 2 walk-in closets and bath). Jeff and his staff did an amazing job with the kitchen, so we invited them back to finish the house. the two completed projects were done within budget set and the time given. As the workman leave today, the job site is not only clean but we can see their excellent workmanship. 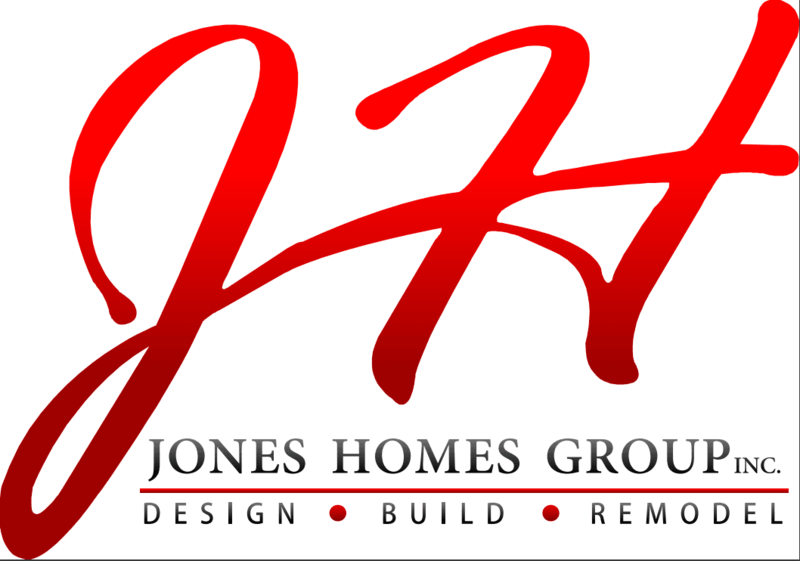 We do not hesitate to recommend Jones Homes Group." "I enjoyed having Jones Homes Group as my contractor to remodel my kitchen, and 2 bathrooms, installing hardwood flooring, painting and installing new appliances. Alex and Jeff were able to offer guidance on all phases of remodeling and followed through on every decision that was made. The crew was very professional, arriving on time, explaining what would be accomplished each day, and leaving my home very clean at the end of each day. Mark, the project manager, was a true artist with the tile work and was very easy to work with. The whole project was completed in 7 days without any major setbacks or surprises. Jones Homes Group exceeded my expectations and i would highly recommend them for any construction or remodeling project." "The best compliment I can think of is 'We are back for more'." Our kitchen is AWESOME. The entire job took "a week" with little disruption of our lives from start to finish. Jones Homes was a real find. They were reliable, always on time, true to their word, efficient fairly priced, caring and always willing to listen to any concerns which were minimal because of their professionalism and skill. Yes, we are back and this time for a master suite makeover. We are most anxious to see the results this time around."